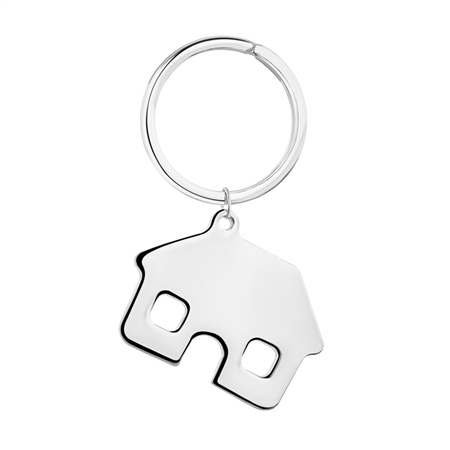 The perfect housewarming gift for anyone moving into a new or first home, this house shaped keyring can also be personalised for that additional special touch. Silver plated keyring with a protective anti tarnish layer, home design suitable for engraving, presented in a Newbridge Silverware gift box. Product dimensions 41mm x 28mm x 3mm.